The New Order has performed literally hundreds of thousands of kills in the name of the Code. Each one is special, though some are extra special. 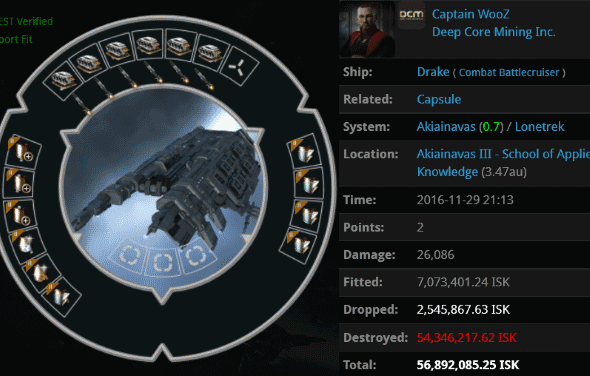 Captain WooZ lost an unlicensed Drake while doing missions or some other silly PvE activity. He was ganked by our Agents, of course. The Drake loss was felt by more people than just WooZ, though. Yes, it was yet another brilliant stream snipe! Why do our Agents love to snipe streams so much? 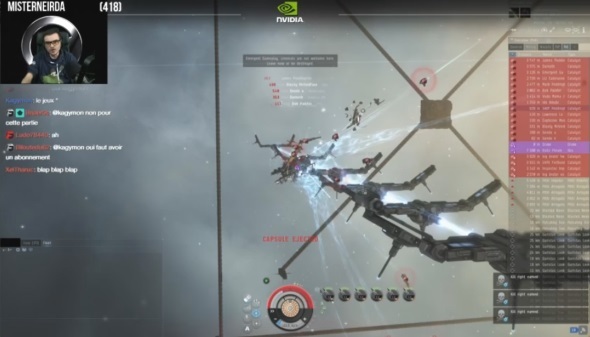 Because it allows stream audiences to see that EVE isn't about mining or other forms of PvE. EVE is about the Code. The magic was captured on the French carebear's Twitch stream. It was the first time exciting, meaningful gameplay was broadcast to his viewers. Side note: Officially sanctioned versions of the Code are currently available in English, Russian, German, and Spanish. We're still waiting on a French translation. Magic indeed, Saviour! This is the sort of thing which enthuses the true friend of Highsec Elite PvP. As the streamer himself put it "Le Gank! Le Gank! Le Gank!" Wolf Soprano is trying to hold onto something here. Another Drake dies we all know the other one that ended in tears. So sad that after all these years Wolfie is still obsessed with AG. I believe the lady does protest too much. Ahh hang on ....would anti ganking even exist if not for CODE. We are the whole reason you log on lol. Thats a bit obsessive to me. Like killing minors obsessive. Is this an attempt to troll or what? Why do the same highsec PHags that claim CODE is dying spend so much time here posting tears? kip wanker and his alts can't stay away! Looks like the Code always wins! Always! And before anyone clicks that hisecmilitia link just remember, the people that support that site also support RL child murderers. I remember this one time at bandcamp. I believe as of last night, we have a version available in French.